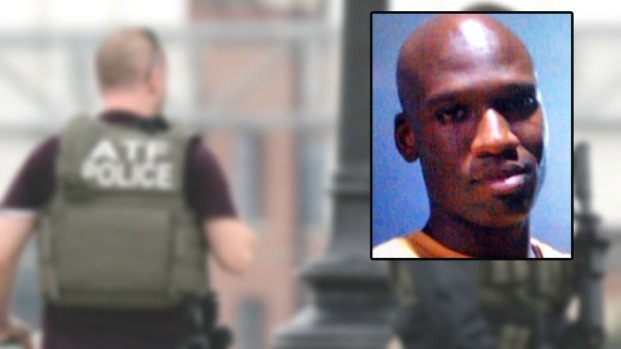 Suspected Navy Yard shooter Aaron Alexis, 34, of Fort Worth, Texas, is among the dead. A gunman killed 12 people and injured eight inside a heavily secured building at the Washington, D.C., Navy Yard Monday, in one of the worst mass shootings ever at a U.S. military facility, and one of the deadliest single events ever in the nation's capital. The suspected gunman, 34-year-old Aaron Alexis of Fort Worth, Texas, was also killed. Alexis had served as a Petty Officer in the Navy between 2007 and 2011, and had been previously arrested in gun-related incidents. D.C. Mayor Vincent Gray reported late Monday eight individuals were injured, including a D.C. police officer, identified as Scott Williams, who was shot in the leg while responding to the shooting. After being in surgery for hours, doctors say they hope he will be able to walk again. None of the fatalities is reported to be military personnel. The rest of the injured individuals suffered non-life threatening injuries and are expected to recover. Also Monday night, FBI and ATF agents searched a D.C. hotel where Alexis, who recently began work as a civilian contractor, was reportedly staying with five co-workers in town for business. Alexis allegedly opened fire just before 8:30 a.m. Monday along the third and fourth floors of Building 197 of the Naval Sea Systems Command Headquarters in Southeast D.C. Bullets hit walls, and people around them fell to the floor, bleeding. Officials reported Alexis had "legitimate access" to enter the Navy Yard at the time as a civilian contractor, using a valid pass. Survivors of the morning attack recalled sprinting from the sound of gunfire on the third and fourth floors of Building 197 of the Naval Sea Systems Command Headquarters. Bullets hit walls, and people around them fell to the floor, bleeding. 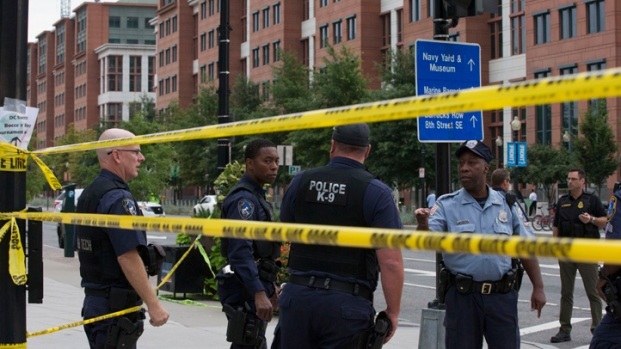 Thirteen are dead and at least three others are recovering from gunshot wounds after a shooting at Navy Yard Monday morning. News4's Pat Collins reports. 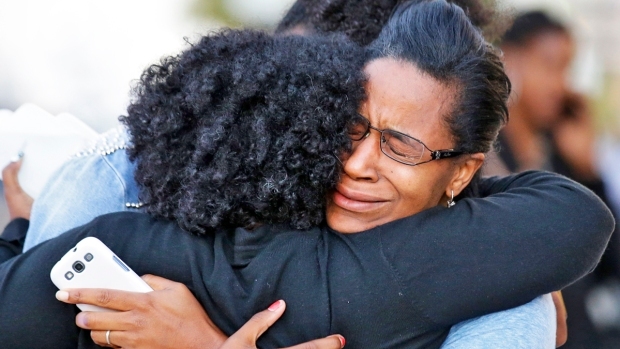 When it was over, the suspected gunman lay dead amid an armload of weapons. Sources told News4 that surveillance footage showed that he began his attack with a shotgun, but was found with a 9mm pistol. Police confirmed that there was no AR-15 assault rifle used, as previously reported. Next to Alexis's body was an ID of a man who used to work at the Navy Yard. Some investigators believe the suspected gunman used that ID to enter the area, which is accessible only through guarded gates, but he may also have shot his way in, Williams reported. The pandemonium continued after the suspected gunman was killed, as authorities suspected that more than one gunman remained on the loose. Eight nearby schools were put on lockdown. And as of Monday evening, D.C.'s mayor still said investigators are examining whether there was another gunman at large. Survellance video shows the gunman entered the NAVSEA building, at 1336 Isaac Hull Ave., with a shotgun, law enforcement officials told News4's Jackie Bensen. The suspected gunman shot a security officer in the head, killing him, and took the officer's 9 mm pistol and a magazine of ammunition. The shooter then continued through the building and seemed to target his victims, who were mostly on the third and fourth floors, Bensen reported. D.C.'s Metropolitan Police Department and several other law enforcement agencies responded with active shooter teams. During that response, a MPD officer was shot in the leg. The gunman was then shot by a FBI hostage response team, law enforcement sources told Bensen. “The response by uniformed police officers from both the Metropolitan Police Department and United States Park Police was absolutely nothing short of heroic,” MPD Chief Cathy Lanier said. 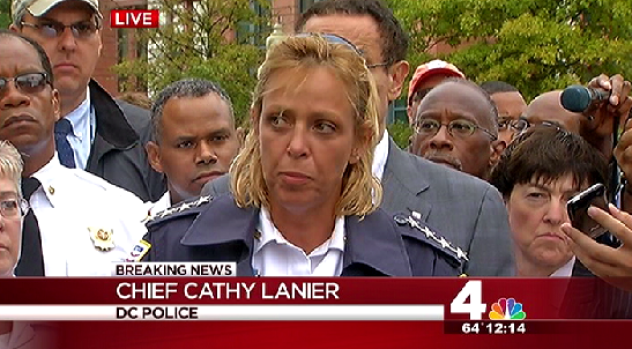 D.C. Police had said earlier Monday that they were seeking two other "possible" gunmen. Investigators later ruled one of them out as a suspect by watching video that tracked the man through the building and realizing that no harm resulted from his movements. Williams noted that many people are authorized to carry firearms at Navy Yard. However, at an afternoon press conference, Mayor Vincent Gray said police were still working to rule out another suspect. Police released a lookout for a "possible" second shooter, described as a man between 40 and 50 years old, who was wearing olive drab and was armed with a "long gun." He was about 5-feet-10-inches tall and 180 pounds, African-American, with a medium complexion and graying sideburns. That lookout was canceled late Monday evening and D.C. Police said they felt comfortable they had the "single and sole person responsible." The motive is unknown, Gray said, though there were reports that Alexis may have had a grudge against the Navy. Gray said while there is no reason to suspect terrorism, it can't be ruled out yet. The FBI now is leading the investigation into what is the deadliest single incident within D.C. borders since 1982, when Air Florida Flight 90 crashed, killing 78 people. “We do know that several people have been shot, and some have been killed,” President Obama said from the White House Monday. “So we are confronting yet another mass shooting, and today it happened on a military installation in our nation’s capital. It’s a shooting that targeted military and civilian personnel. 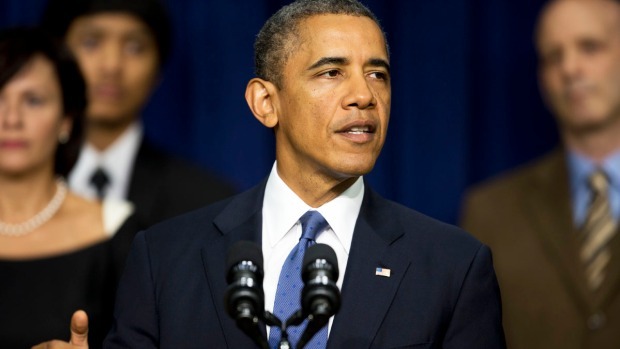 "These are men and women going to work, doing their job protecting all of us," Obama said. They’re patriots, and they know the dangers of serving abroad, but today they faced the unimaginable violence that they wouldn’t have expected here at home." NAVSEA is the largest of the Navy's five system commands. The Washington Navy Yard will be open only to mission essential personnel Tuesday, as investigation continues. Though Metropolitan Police Chief Cathy Lanier stressed that the scene was contained, people near the base were asked to stay in their homes, and eight D.C. public schools and one private school nearby were locked down. 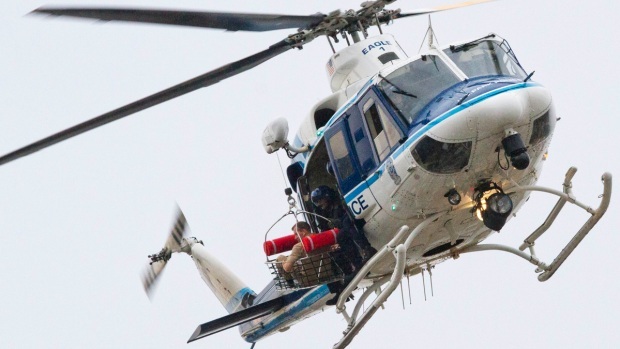 A large search, including from helicopters, continued into Monday afternoon. "It's a large piece of land with many buildings," Assistant D.C. Police Chief Peter Newsham told News4. "It's going to take a while to determine that it is safe." Earlier Monday, tactical teams were seen entering at least two buildings on the Navy Base to search for the shooter, and News4's Mark Segraves reported that three helicopters were seen tightly circling part of the base. MedStar Washington Hospital Center said the MPD officer was among three victims that had been transported to that hospital. The officer was shot in the legs; one other victim was shot in the shoulder and one was shot in the head and hand. All are alert and speaking and expected to make full recoveries, said Dr. Janis Orlowski, chief medical officer at the hospital. All are in critical and stable condition. The police officer is out of surgery. The female Navy employee shot in the shoulder also required surgery. The other woman who works for the Navy did not require surgery. The gunshot to her head did not penetrate the skull. "There's something evil in our society that we as Americans have to work to try and eradicate," Orlowski said. "I have to say, I may see this everyday, I may be the chief medical officer of a very large trauma center, but there's something wrong when we have these multiple shootings, these multiple injuries. There's something wrong. The only thing that I can say is we have to work together to get rid of it." The hospital was prepared to accept more victims, though it does not appear that will be necessary. George Washington University Hospital said they had also received a victim, a man in his 60s who had been shot in the temple. Despite efforts at CPR, he was prounounced dead at the hospital. One victim was evacuated from the roof of a building, reported News4's Tony Tull. A U.S. Park Police helicopter hovering above the scene around 9:50 a.m. lowered a basket to a building and lifted what appeared to be a shooting victim from the roof. The helicopter came back to the scene just after 10 a.m. to retrieve another victim. Family members seeking information about loved ones should call 202-433-6151 or 202-433-9713.